Fall Out Boy - "Folie à Deux - Love them or hate them, you can't deny that these pop punkers are one of the most popular bands to come out of Chicago. Give them a few more points for recruiting Elvis Costello and Debbie Harry for guest spots on this, their fifth studio album. All-American Rejects - "When the World Comes Down" - If the new Fall Out Boy disc doesn't provide you with enough glossy pop punk to listen to on your next trip to the mall, The All-American Rejects offer up the perfect solution on their third LP. 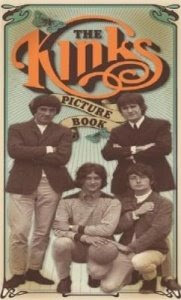 The Kinks - "Picture Book" (6 CD boxed set) - The Beatles and The Rolling Stones might have gotten most of the attention, but Ray Davies and The Kinks put out some of the greatest rock 'n' roll of the 1960s. This is the first ever boxed set of the band's work, featuring 6 remastered CDs of hits and rarities spanning their 40-year career. Big Science - "The Coast of Nowhere" - Mix up a bit of 80s post-punk, a bit of new wave and a bit of modern indie rock and you get the very welcome sound on "The Coast of Nowhere," the new EP by Chicago band Big Science. The EP is available for free download here. CAW! CAW! - "Live From Public Space One" - This experimental indie pop band released their debut label EP, "Wait Outside" (reviewed here) earlier this year. Now, you can download a free 40-minute live set by the band here.